Paul on parting company with Sirocco, then turned his attention to engine-tuning. 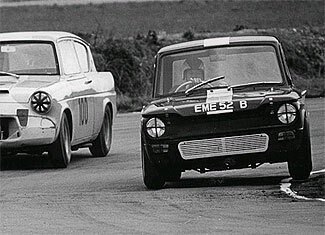 Paul forming Paul Emery Cars after the Imp appeared in 1963, specialised in preparing and tuning Hillman Imp and Singer Chamois for both road and competition use. Paul announced in 1963 a rather neat little GT coupé built around a space frame chassis, Imp mechanical bits and pieces and this was exhibited at the 1964 Racing Car show alongside the (mini) Dart. The Mini Marcos, Mini Jem and Kingfisher Sprint are descended from a common ancestor, the DART, a racing special built by Dizzy Addicott with help from Paul Emery. 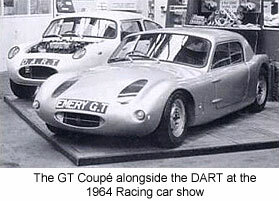 The GT prototype was constructed with an alloy body, three later cars constructed with plastic body and Imp engine in central position with an Hillman gearbox inverted. One Ford 105e based car was constructed and raced by John Markey winning 15 races from 16 starts. 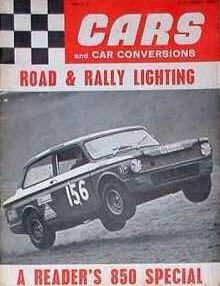 In 1964 Paul produced the Emery GTI which also appeared at the Racing Car Show with a lowered, rakish line in racing. A lowered roofline together with a shallower windscreen and more steeply raked rear window, give the car a new and very sporting look. To produce the car to GTI specifications, this involved removing the roof, chopping metal out of pillars and so lowering the roof-line by four inches. The seats where lowered to make for more headroom. The front windscreen had three inches chopped off, (an inch less than the total lowering job.) with the rear window being retained, but at an increased rake. Suspension modifications involved the front pivots being dropped on the front end and the steering geometry being altered to accommodate the drop in suspension geometry. A wide range of tuning equipment for even greater performance was available for competition use; special 850, 1000 or 1150 cc. engines could be specified, which in cases could run up to 9000 revs, Special gears for four or five speed transmissions and limited slip differentials were available. Cars were prepared for the 1964, 1965 and 1966 For the Nürburgring races. Paul Emery cars built 12 of the highly tuned GTI’s.